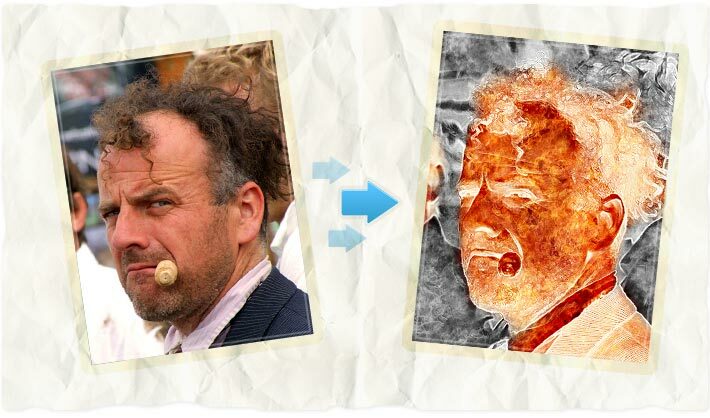 Here you can turn your photo into fiery one! After photo uploading you can choose fire, smoke or original colored brush and draw on you picture for better results. AnyMaking funny photo editing can do that for you right here and right now! AnyMaking fun photo effects are absolutely free!